1. Don’t try to fix it. When we see people hurting and in pain, often our initial instinct is to offer a solution: to find some way to fix it. This may be rooted in compassion and concern, but it is usually not a helpful response. Instead, try acknowledging the pain without trying to fix it. 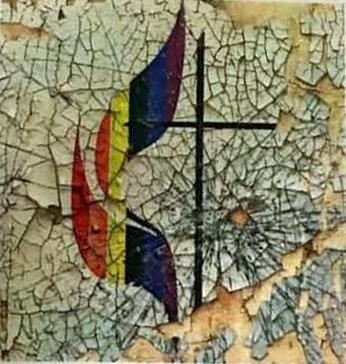 For many LGBTQ United Methodists, this pain is not new, and there is no quick solution to getting rid of it. You cannot fix it, but you can do your best to open and hold space for that pain to be felt, expressed, and acknowledged in community. 2. Don’t invite LGBTQ United Methodists to join your denomination. This is probably the most common harmful response LGBTQ United Methodists receive from non-UMC allies. You want your LGBTQ United Methodist friends to be welcomed, affirmed, and celebrated. You want them to be able to use their gifts in ministry. Though well-intentioned, comments like “my church welcomes you” or “you could always join my denomination” are not helpful. LGBTQ United Methodists are aware that other denominations have more progressive teachings and policies on LGBTQ matters. Inviting LGBTQ United Methodists to join your denomination is another attempt to offer a quick fix. It ignores the fact that the person is United Methodist for a reason, and that they are deeply committed to their own tradition. Their reasons for being United Methodist are why this moment is difficult. It is important to remember that every church and denomination has its own disagreements, challenges, and areas needing reform. Don't fall into the temptation of making it seem like your church is better or perfect. This is a good moment to point out that we are all trying our best to follow God in challenging times. Relationships are complicated, and inevitably we will fall short. There is no such thing as a perfect ally or friend, so it’s important to be prepared for when you mess up, say the wrong thing, or really step in it. Remember to simply and sincerely apologize when you make mistakes.